Goose Marsh Fields is a 64-acre green field site adjacent to a principal A-road. 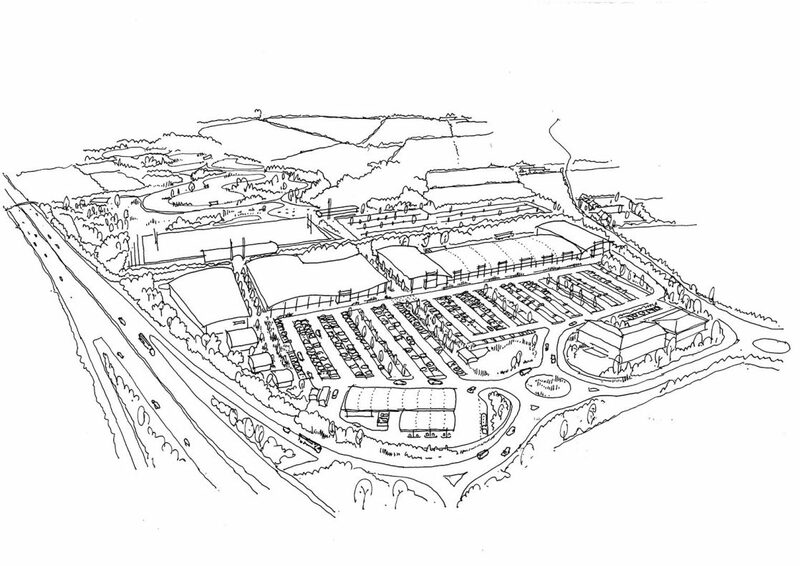 Stride Treglown were approached to develop proposals for a retail park with a footprint of 150,000ft². The building programme incorporates a cinema, hotel, pub, petrol filling station and local sports stadium. Situated adjacent to an area of outstanding natural beauty, the brief and context presented a fantastic opportunity to create a unique retail destination. 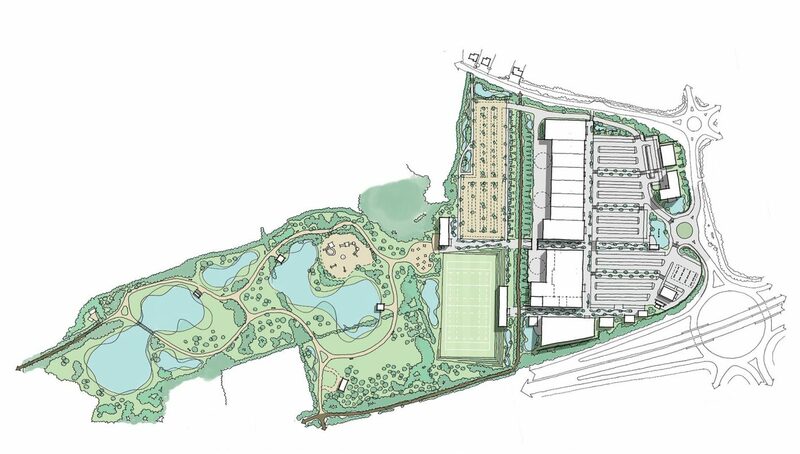 The design integrates leisure and retail aspects to create a destination which promotes longer dwell times and considers ease of access to all areas of the masterplan. The scheme incorporates numerous sustainable features to create harmony between the built form and local environment, including passive design, rolling green roofs and urban attenuation swales.